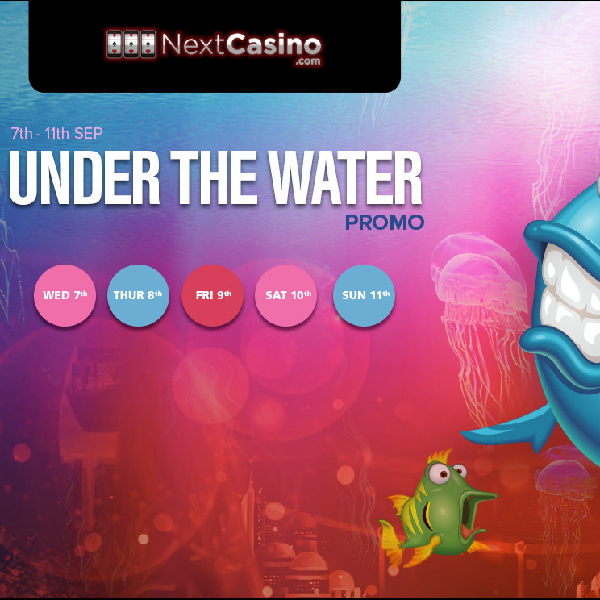 For the next five days Next Casino is running its Under The Water promotion which is offering a great range of bonuses and prizes. Today you can receive 40 free spins on Secrets of Atlantis slots when you deposit £20. On Thursday if you bet at least £50 on Fish Party slots you will get a £10 bonus. On Friday if you play at least 100 real money rounds on slots you will be entered into a raffle where ten players will win 100 free spins on Subtopia slot. On Saturday and Sunday you can receive a 50% reload bonus when you use the code ‘NCWATER’. This is a great chance to enjoy some underwater themed slots and at the same time guarantee yourself some bonuses. Head over to Next Casino and start playing today.